The team races the clock to find Clementine and vaccinate her before the TX gas reaches the general population. 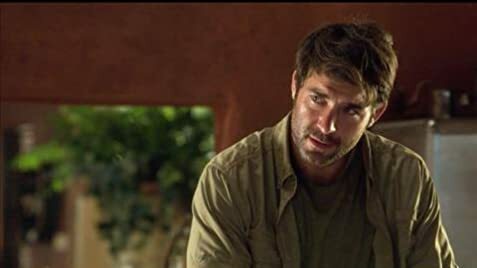 How many episodes of Zoo have you seen? 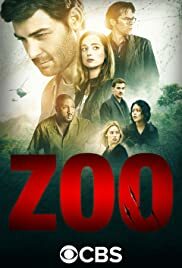 Zoo has a simple concept of animals rebelling against humans. Enough is enough for them as they randomly converge on some tree or attack random passerby. It has merit since with both viewpoints from savanna and urban locales simultaneously detect anomalies. Unfortunately, there's not much interest sparked by the human characters while the animals certainly can't carry the show by themselves. Its most problematic issue is the awkward writing. None of the personalities are fascinating, in fact nearly everyone is either showing exaggerated emotions or lack of urgency. For the city perspective, we have the story of a journalist who writes blog of preserving animal rights. She's meant to be a strong female lead, but sadly she just seems preachy and unapproachable. The savanna cast is very elementary, they even react very stiff in face of danger, bantering about theory while the animals literally just attacked them. I reckon it could be better if presentation could resemble Jurassic Park or Planet of the Apes, but such caliber is not within the Zoo's grasp. Ultimately, the show sounds rather tediously pretentious and nonsensical. It could build tension, but it would be a long trek for audience to follow since there's no character, walking with paws or feet, is worthy on investing time on. 84 of 139 people found this review helpful. Was this review helpful to you?